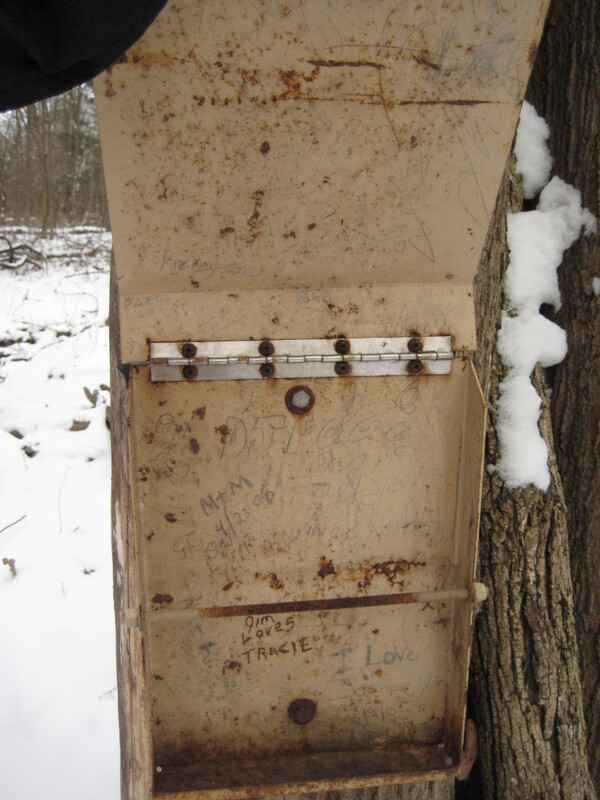 Fairly functional for safety and planning, the trail register is also a place for an outpouring of backwoods philosophy. They are repositories of ramblings and reflections by those who seek communion with nature. So what is a trail register? 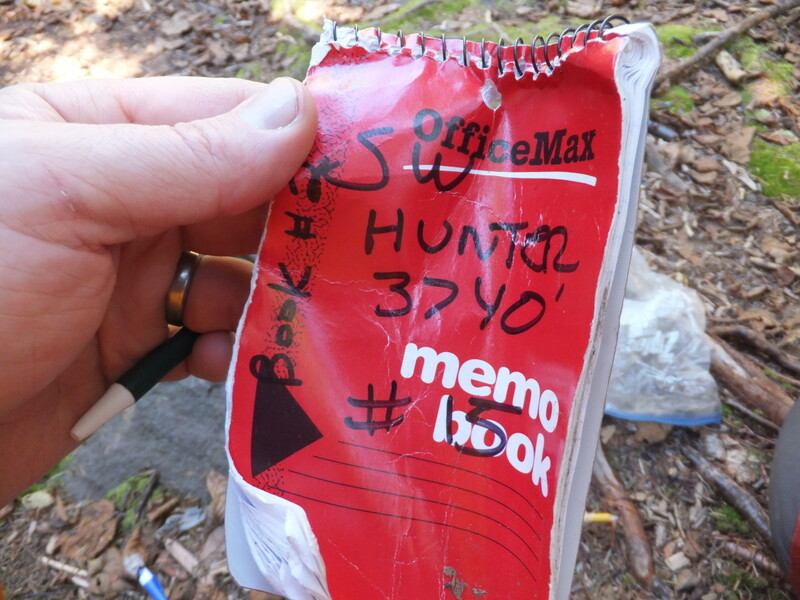 A trail register is sort of a wilderness ledger, recording the comings and goings of backcountry users. In a world relying on the digital, these chronicles are as low-tech as they can be. They are slips of paper, notebooks perhaps, with a few dried up pens and pencils that you need to sharpen with your pocket knife. 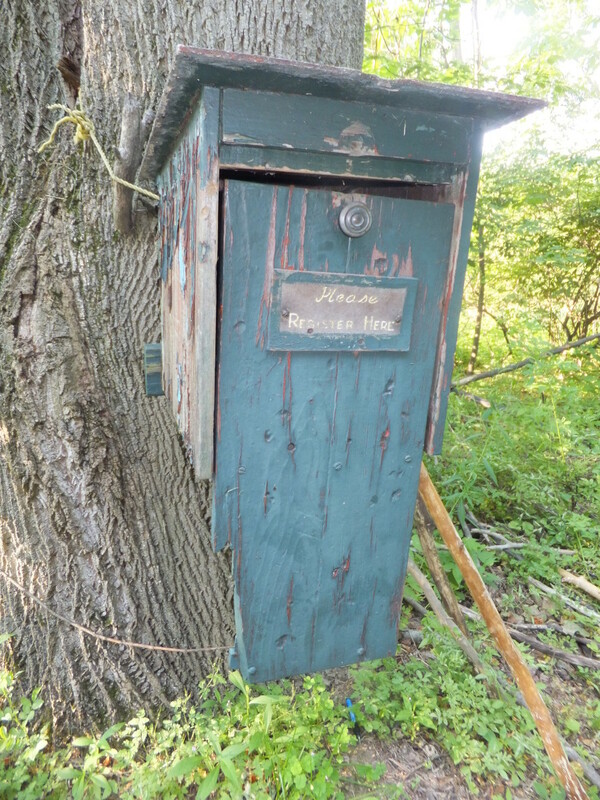 The most impressive portion of the register is the box, which may range from dovetailed masterpieces of carpentry to mailboxes perched in the woods. They help SAR teams find you if you are lost. They might tell you of current hazards or warnings. 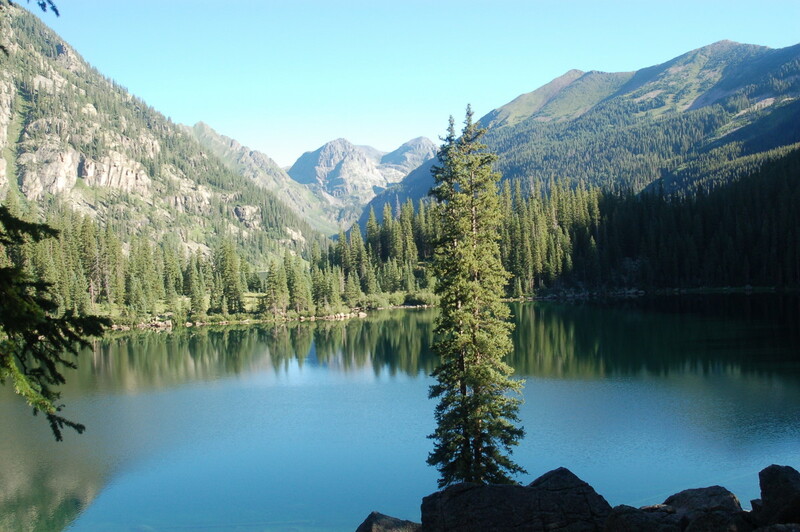 They serve as a record of visitor information to wilderness areas. 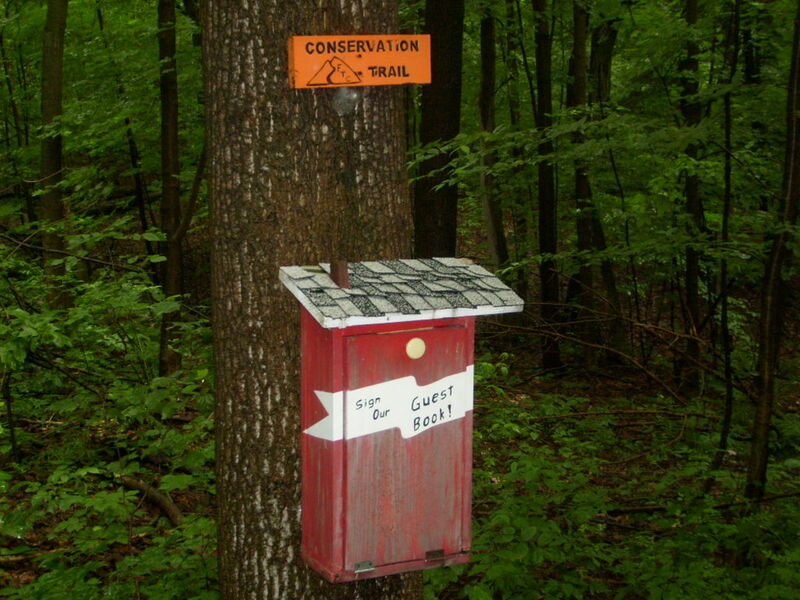 They provide a communication forum for hikers. Registers generally fall into two categories: formal and Informal. Many times, there will also be a check box stating, "Check when out." Do the rangers a favor and check these boxes when you leave the forest. 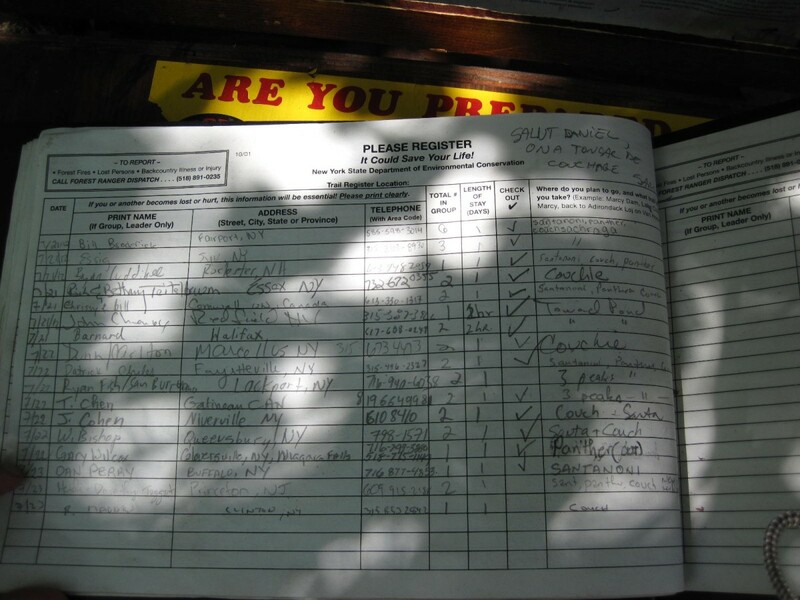 Informal registers are used by trail clubs and individuals to collect the thoughts and impressions of backcountry adventurers while still collecting important user data. Opposed to the rigid forms used by park agencies, these informal journals are simple notebooks. As a credit to their durability, composition-type notebooks stored in freezer bags are the most common. 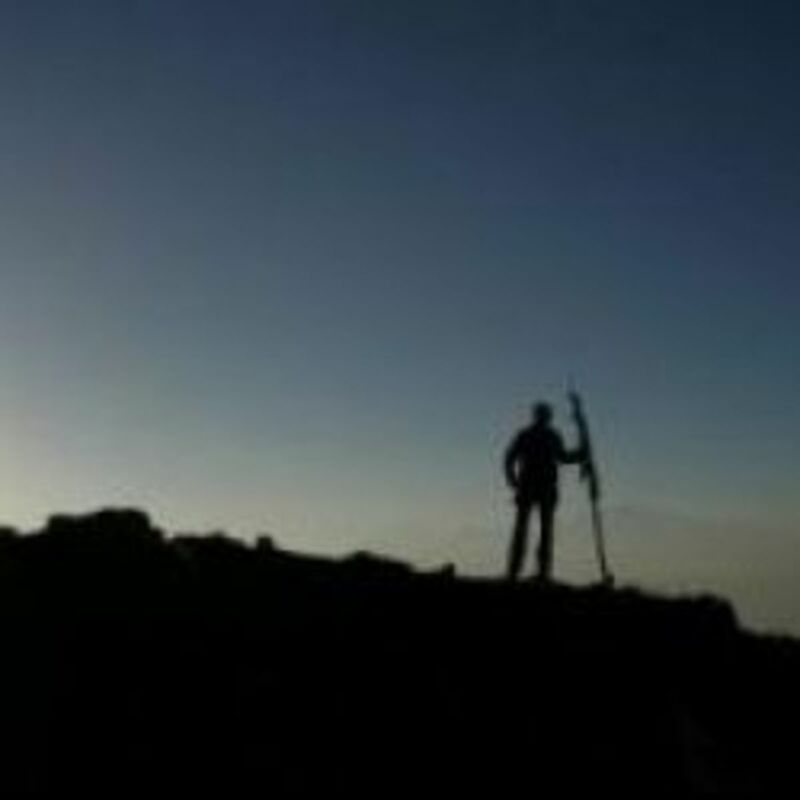 Hikers will find these informal chronicles along trails, on certain summits and at lean-tos. Here you are free to be yourself in your writings. Let your thoughts flow through the broken soft-tipped pencil you found sandwiched in between the pages. Reflect on your journey, record your observations, draw a picture, compose a poem - what you leave behind is up to you. One of the functional aspects of trail registers are that they help calculate usage in a particular wilderness area. Members of trail clubs use these visitor counts as feedback on their own work and as a way to plan future projects. Anyone who has ever been a member of a trail club knows how tight funding is and how project allocations is a balance between need and ability. If anything, noting how many people use the area determines the need. Visitor counts likewise help conservation officers allocate their staff to areas with the highest demand. 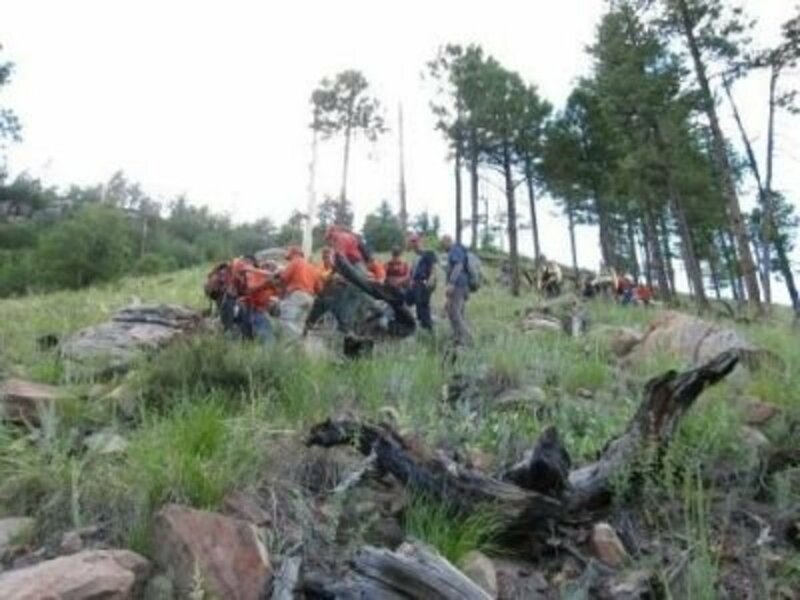 If a hiker goes missing, one of the important tools available for Search and Rescue professionals are trail registers. In remote areas with limited traffic, a person's signature on a register may serve as the Last Known Point (LKP) for anyone mounting a search. If anything, it gives the teams a starting place to begin looking for you. As a solo backpacker myself, I faithfully sign in and out at all trail and shelter registries. I describe my route and destination as best I can, for just in case something does happen, rescue crews may be able to find me faster. It is cheap insurance! 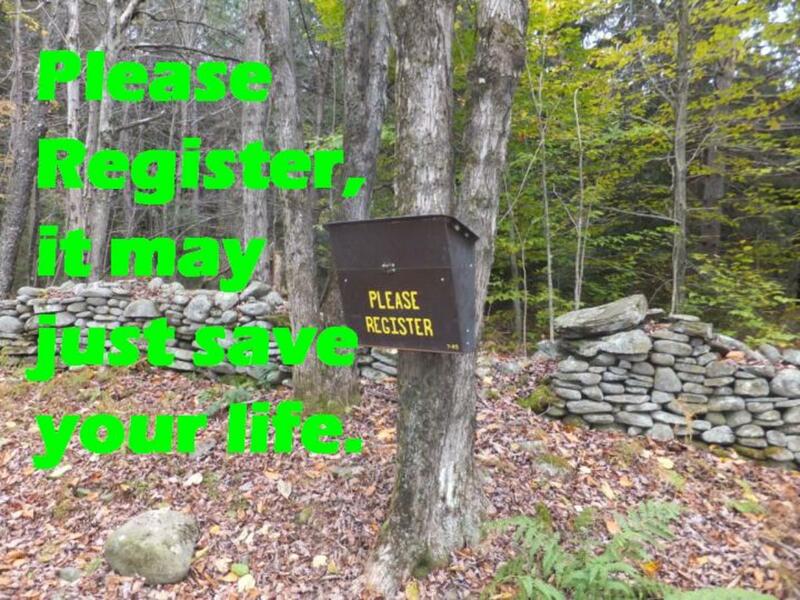 If you sign registers using a trail name, make sure that the folks back home know what it is. 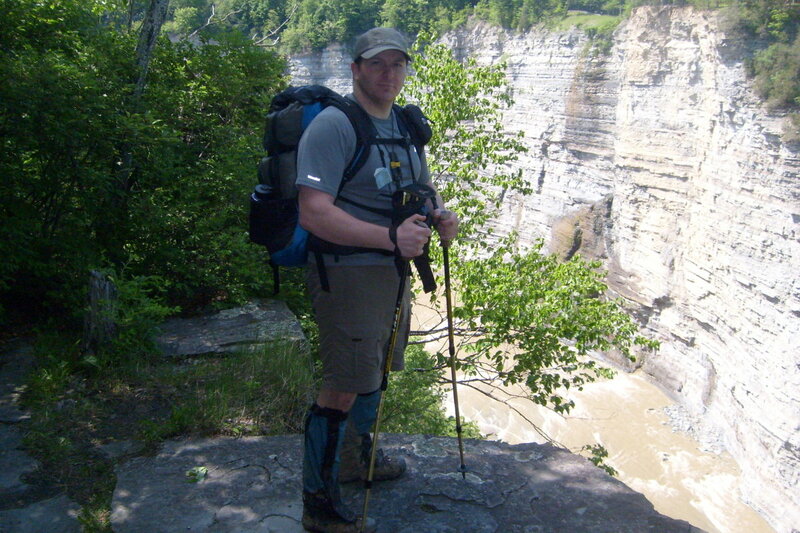 Chances are, SAR will overlook entries by "The Walking Fred" if your real name is Frank Smith. Do you sign in and out at trailhead registers? 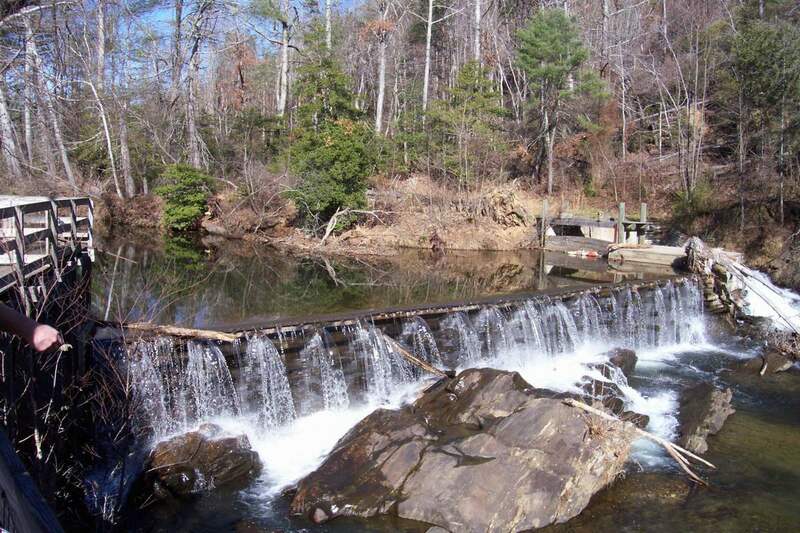 Hike the 2,200-mile Appalachian Trail and you will become well acquainted with trail registers. Backpackers pour their hearts into the registers, sometimes filling pages. As a solo hiker, I counteracted any loneliness by writing in and reading these journals. As I was reading the daily entries of those ahead of me and sending messages to those behind me, I felt like I was part of a conversation. I'd use register entries to gauge my own progress and sometimes motivate myself to catch up to someone ahead. The strange thing is, when you catch someone after reading their journals for weeks or even months, you know everything about them and they don't know anything about you. 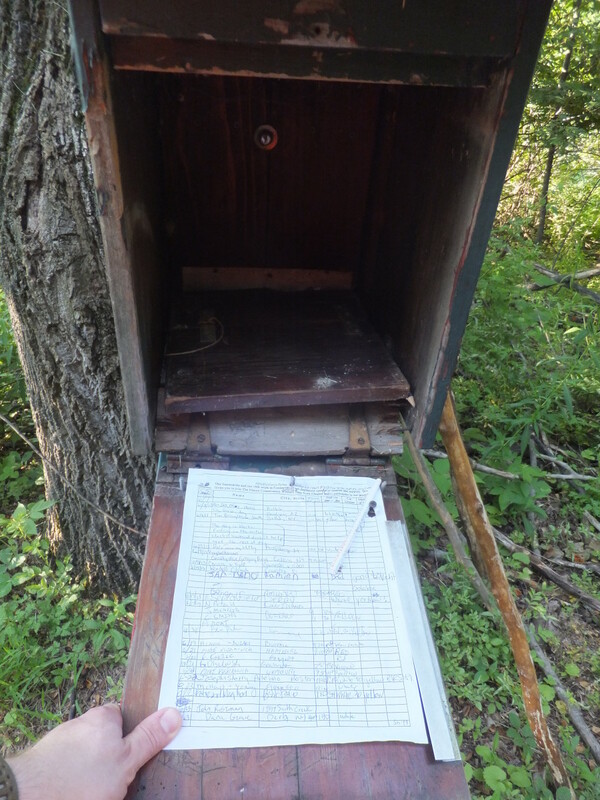 On the AT, registers were the original social media. Oddly, as I've hiked in many places around the country since my thru-hike - registers aren't nearly this important elsewhere. There have been many nights in full Adirondack lean-tos where I am the only one that bothers to read and write in these wonderful devices for backcountry communication. They have no idea what they are missing. 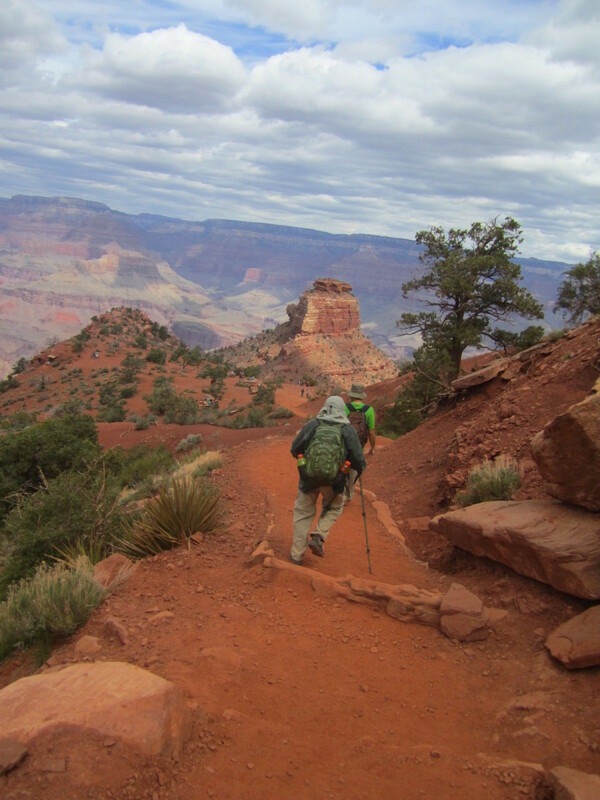 With numerous clubs having hiking achievements, some require proof that you were there. 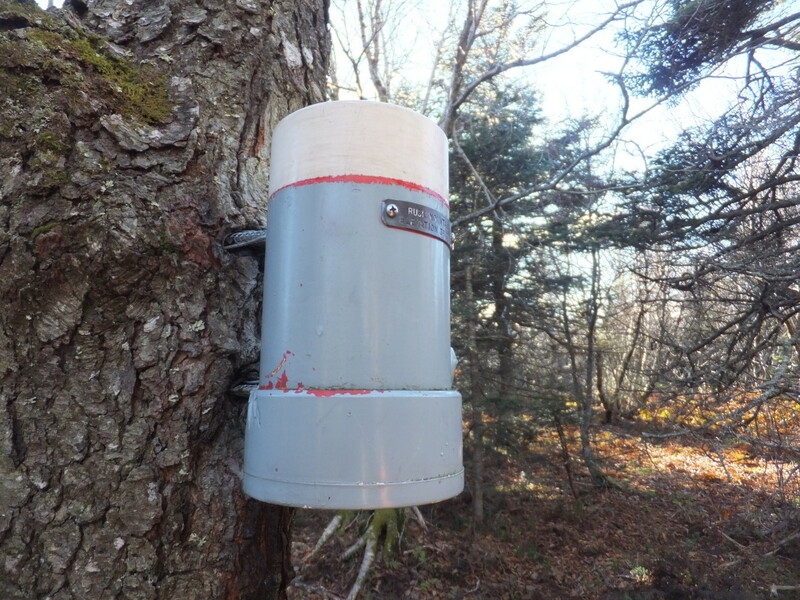 Therefore, on a summit of a mountain you may find a capsule or register box. 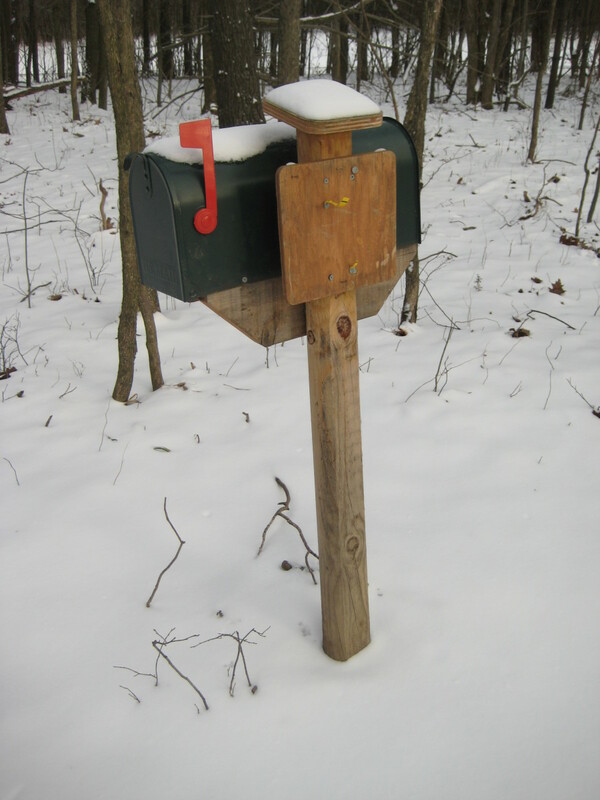 Generally these need to be weatherproof and rugged, so you won't find decorative mailboxes here. It seems that PVC pipe capsules chained to an immovable object are the most common. 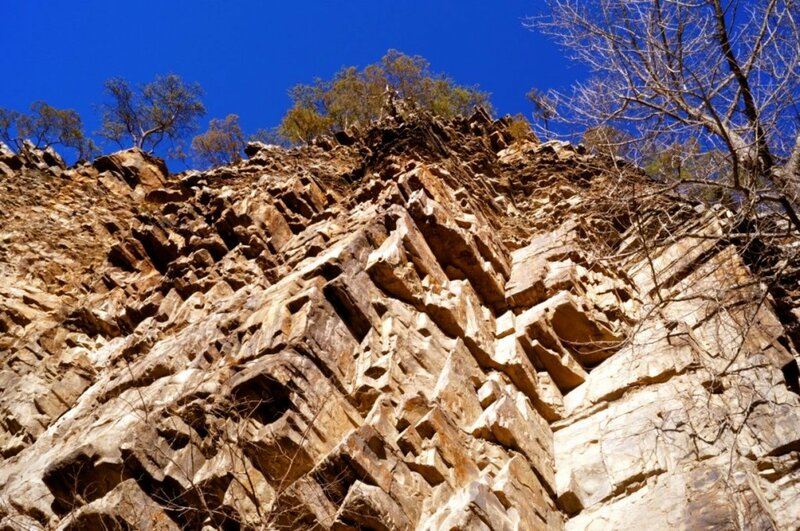 The Catskill 3500 club is one of these organizations that use this sort of system on their untrailed peaks. If you plan on becoming a member of this exclusive club, you'll want to make sure that you sign in on these summit chronicles. 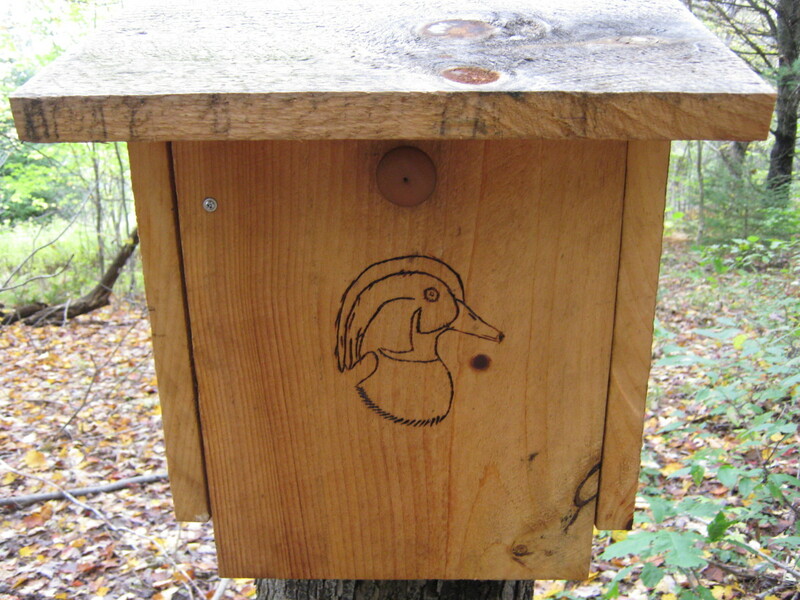 I thought I'd end this article with a transcript of a short register entry that I wrote while hiking in the Adirondack Five-Ponds Wilderness. 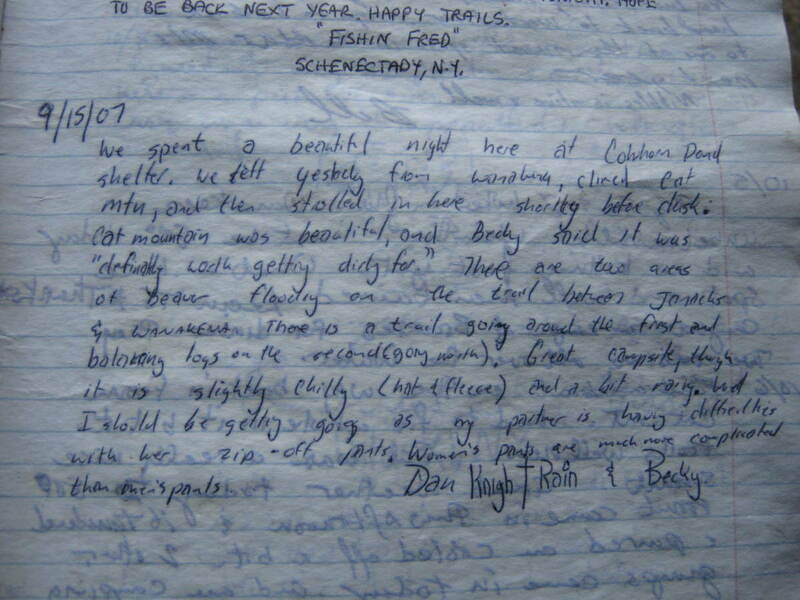 I originally wrote this in September of 2007 while doing a quick overnight backpacking trip with my wife. When I returned to Cowhorn Pond three years later to hike the CL50, I flipped through the journal and found my scribblings were still there. You never know, you may just be writing to yourself. We spent a beautiful night here at the Cowhorn Pond Shelter. We left yesterday from Wanakena, climbed Cat Mountain, and then strolled in here shortly before dusk. Cat Mountain is beautiful and Becky said it was "definitely worth getting dirty for." There are two areas of beaver flooding on the trail between Jannacks Landing and Wanakena. There is a trail going around the first and balancing logs on the second (going north). Great campsite, though it is slightly chilly (hat and fleece) and a little rainy. Well I should be getting going as my partner is having difficulty with her zip-off pants. Women's pants are much more complicated than men's pants. Do you want to read more journal entries? 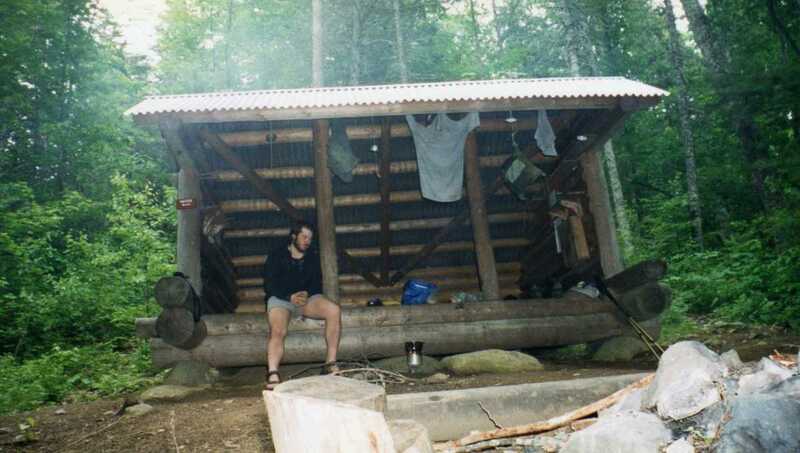 A collection of lean-to entries from the Adirondacks. Do you leave personal reflections in trail registers? LOL bankscottage! We call that in SAR a cell ping, even though the distances are usually off by a few miles. Great information, Dan. Always enjoy reading your articles - it's like being there! If you sync your phone with the trail register (bluetooth connection), the NSA would have your GPS coordinates and know exactly where you are in the middle of nowhere. You would never get away from Big Brother. Now, if they would just come and find you if you were lost. I'm glad you attended my class today MsDora. Thanks for the vote! Voted Up! Thanks for the education on Trail Registers. This is my lesson for today. Ha, hopefully there will never be a character limit in any register. Though eventually you'll probably have to sync the notebook somehow with a smartphone which posts automatically on facebook, twitter and poss your picture on instagram. Your log book at your camp sounds like a true treasure. I love reading things like that. Thanks as always for stopping by bankscottage! We have a similar book for our camp in Maine. We encourage visitors to make entries in it. It goes back to 1958 when the camp was built. My wife loves to go back and read about others' visits long before we even owned the camp. I think that most people are generally reluctant to leave any sort of personal reflections in registers. It is kind of like the internet, once you write it - it is available for all to see and you never know where it goes. 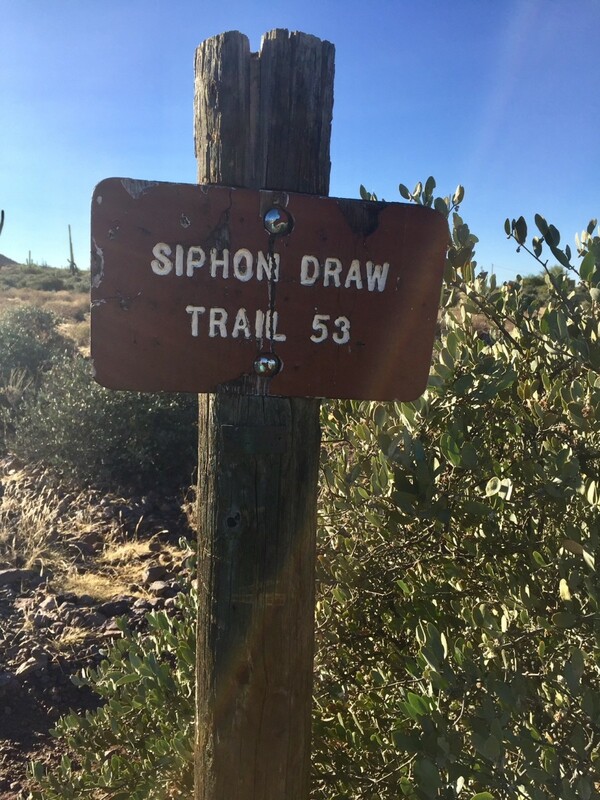 Signing in at the trailhead is thankfully an activity that most people can get behind. I don't I've left any personal reflections in a trail register before. But I understand the importance of signing in when going hiking or camping.